Dollar strength is due to the decline in the international gold and Silver market. Comaks gold is trading at 1 % down 1292 doallr. If we talk to indian market so, Despite th weakness rupees agisnt the daollr, yer MCX Gold silver are trading more declining phase. Current Point of View of MCX gold Silver is trading 300 point down due to last closing at Rs 27919 in August future delivery. In Other hand White metals silver has slipped 567 point at Rs 40840 in September contract. 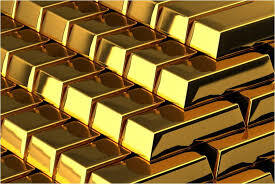 @ Buy MCX Gold Aug at around 27900 targtes 27940, 27980 stop loss 27850. @Buy MCX Silver Sep below 40850 targets 40950, 41050 stop loss 41000.